Clean It Up: The great thing about owning land is there’s little to do in the way of maintenance. 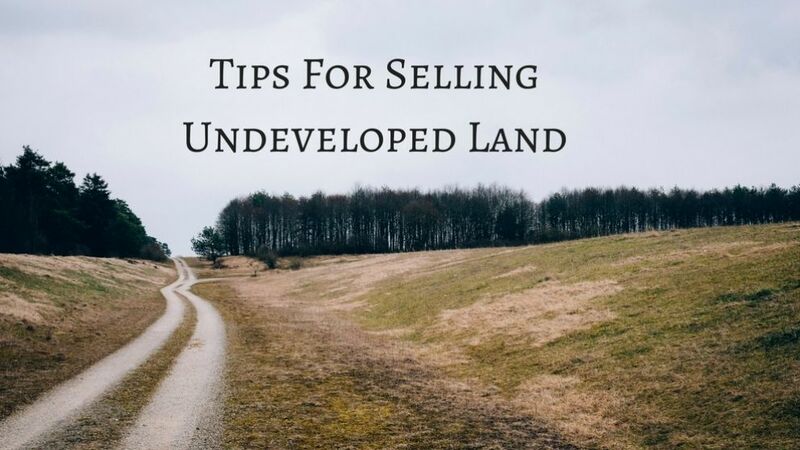 But if you’re wondering how to sell land, it’s a good idea to do a little bit of clearing and straightening before throwing it on the market. Take the time needed to remove anything that makes the land look less attractive, which could include wild growth, debris and broken structures like fallen fencing. Provide Comprehensive Information: There are no high-end photos of eat-in kitchens or master suites to share, so what do you put in with your marketing materials? Make sure to add a survey that includes key features like easements and boundaries and also include comprehensive tax information. The more information you share when selling undeveloped land, the more attractive it will be to the buyer. Educate the Market: What can you do with undeveloped land? Your buyers may want to know. Help them understand by sharing about the zoning variances affecting your land as well as potential and recommended uses for it. Invest in a Quality Sign: There’s not much to catch the eye when you’re selling undeveloped land — not unless it includes beautifully rolling hills or a waterfall, which is unlikely. So, the best you can do is include an eye-catching sign. Invest in a clean, attractive design and make it large and noticeable. Share clear and easy-to-decipher contact information. Bring Lenders In: Securing a loan for selling undeveloped land is different than traditional real estate. So, bring land lenders into the process and make them available to prospects who may be unfamiliar with the idea of buying undeveloped land. Go the Auction Route: Many looking to sell undeveloped land may not consider the auction option. They may be wondering how to auction land, so they skip it altogether. But auctioning land rather than pursuing a traditional sale can provide a number of benefits that help the land sell more quickly and at a lower cost to the seller. At Fortna Auctioneers, we help clients discover the benefits of auctioning rather than using a traditional approach to selling land. Let us take over the process and help you make the most of your land sale. Contact us today about how to sell undeveloped land at the best possible return.